Vancouver, British Columbia--(Newsfile Corp. - January 10, 2019) - Dunnedin Ventures Inc. (TSXV: DVI) (the "Company" or "Dunnedin") President, Claudia Tornquist today provides a year-end review of the Company's activities and progress in 2018. We drilled significant extensions to two diamond bearing, high-grade kimberlite dikes. 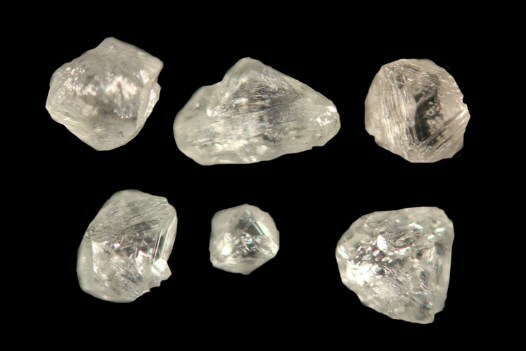 These expand the quantity of diamondiferous kimberlite that has been confirmed on the property to date, as neither body is yet included in our maiden inferred resource of 4 million carats (see resource estimate, DVI website) and target for further exploration (see TFFE estimate, DVI website). To date we now have approximately 20 km of kimberlite dikes defined through drilling and geophysics and the Kahuna property hosts many more linear structures that remain largely untested and collectively comprise over 100 km of prospective, potentially kimberlite-bearing targets. To further the potential of our kimberlite dikes Dunnedin has engaged SRK Consulting to develop options to expand the existing inferred diamond resource on the Kahuna and Notch dikes, incorporate the numerous other proven diamondiferous dikes on the Kahuna property and assess conceptual mining methods. We expect the results of this study in Q1 2019. We have significantly narrowed down our main target area for kimberlite pipes on our large property where we hold diamond rights over 1600 km2, to a 10 km2 area that shows a high concentration of high-quality DIMs. This section in the northeast of the property is known as the Josephine Target Area. Through till sampling and drilling programs, we were able to show that known and weakly diamondiferous kimberlites in this area were not the sources of the abundant DIMs in till, which indicates that there must be one or several yet-to-be discovered sources for these DIMs nearby. To zero-in on these sources we collected another batch of nearly 1,000 surface samples in the autumn of 2018 and we expect the priority results from these samples in the coming weeks. In 2018 Dunnedin also started to actively explore options to unlock the value of its 100% owned Trapper copper-gold porphyry project in BC's prolific Golden Triangle, on the heels of several high-profile porphyry exploration successes in the province. In November we strategically acquired 100% of the historically drilled, and recently consolidated, MPD property in South-Central British Columbia. Like Trapper, MPD has immediate exploration upside and the potential to yield a major copper-gold porphyry system. The project is in a known, productive copper-gold porphyry belt with historically drilled grades similar to nearby producing mines. Dunnedin will provide further information on 2019 exploration plans at MPD as the project database is analyzed. On the management front, we were pleased to welcome Mr. Steven Krause to our Board of Directors. Steven is CFO of Viva Gold Corp. and former CFO of Bear Creek Mining. He was also former chairman of Luna Gold, where he led the $360m merger with JDL Gold to form Trek Mining. Steven's experience in finance, corporate development, and governance is a welcome addition to our high-caliber team of director and advisors. We are also proud to be affiliated with some of the most successful exploration and resource development professionals in Canada through the Discovery Group, led by John Robins. With a shared philosophy of finding and advancing overlooked high-quality assets with good historic results and strong economic potential, several companies in this group have generated industry-leading returns for shareholders over the past year and certainly our CEO Chris Taylor is becoming well-known through the successes of our sister company Great Bear Resources, which made a significant high-grade gold discovery in Canada's Red Lake District. Indeed, it is our intention replicate these successes to the benefit of Dunnedin shareholders. We have the underlying assets and the team to unlock their potential. Our belief in the discovery potential at Kahuna is as strong as ever and our copper portfolio provides us with additional options to create value. In 2019 we will be pursuing a variety of avenues for funding, exploring and monetizing our assets to the benefit of shareholders. Watch for more news early this year as we move our projects forward, and we thank you for your continued support.